West Sussex home hunters will be able to see more of a popular new part of the Ifield community this weekend, as Bovis Homes launches two new sparkling show homes. 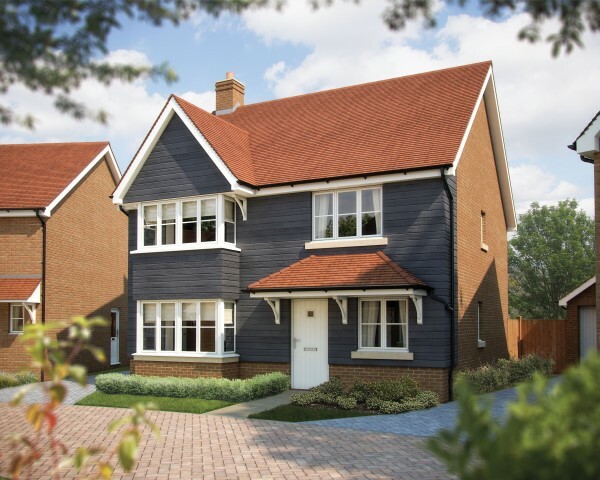 The local house-builder will be unveiling its five-bedroom Winchester and four-bedroom Canterbury show homes at The Maples on Saturday 14th July, giving home seekers a chance to see the style and quality of the properties in this new neighbourhood. Offering a range of three, four and five-bedroom homes, in a wide array of styles and layouts, The Maples includes properties for all types of buyers. The location has been carefully designed with footpaths, open spaces and a play park to create an attractive new part of the community. The four-bedroom Canterbury is a popular house type amongst home buyers, and visitors to The Maples will be able to see the style and layout themselves in the new show home. The property has an open-plan kitchen and dining area, with French doors out into the garden. There are double doors leading through to the separate sitting room, which includes a feature bay window, bringing light and character to the space. The house also boasts a separate study and the master bedroom benefits from a built-in wardrobe and en suite. The five-bedroom Winchester has a spacious open-plan kitchen and family area, ideal for socialising, and there are bi-fold doors leading out into the garden. The large sitting room also boasts bi-fold doors, creating a bright and open area. There is a separate dining room and a useful study. Two of the bedrooms benefit with en suites, with a built-in wardrobe also included in the master room. “Whether you are looking to move up the housing ladder or interested in downsizing, we have a range of homes available, in an array of styles and layouts, built to suit contemporary living,” says Candice.